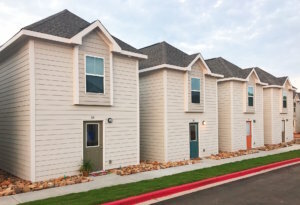 University Cottages offers students three communities to choose from, each with their own unique collection of benefits. 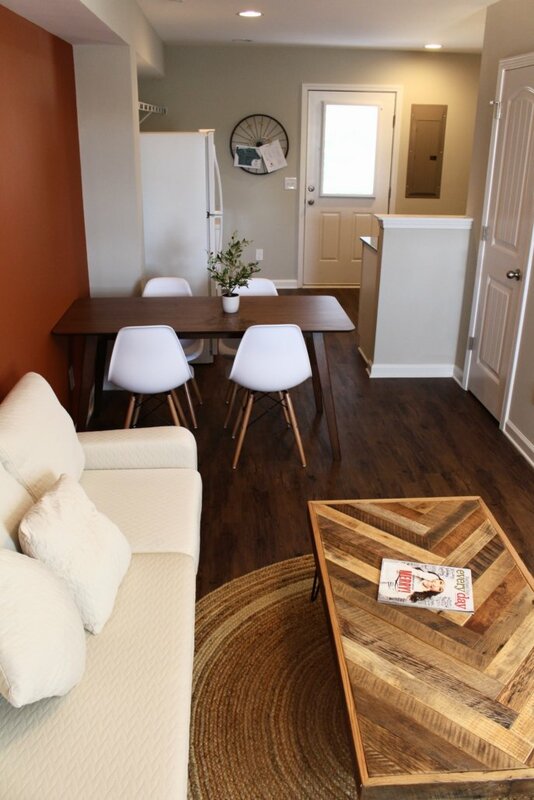 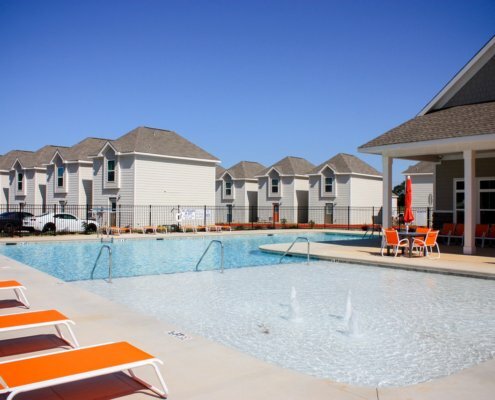 Ingles Crossing, located on HWY 93, is an example of luxury student living at its finest. 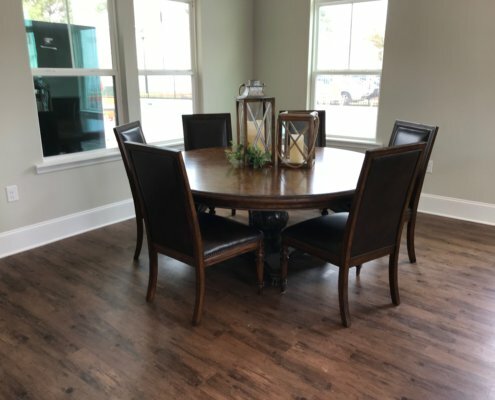 Rates for Fall 2018 are set at the very low rate of $495 per bed for a limited time only! 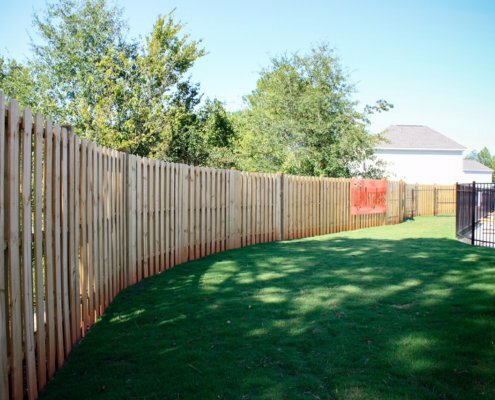 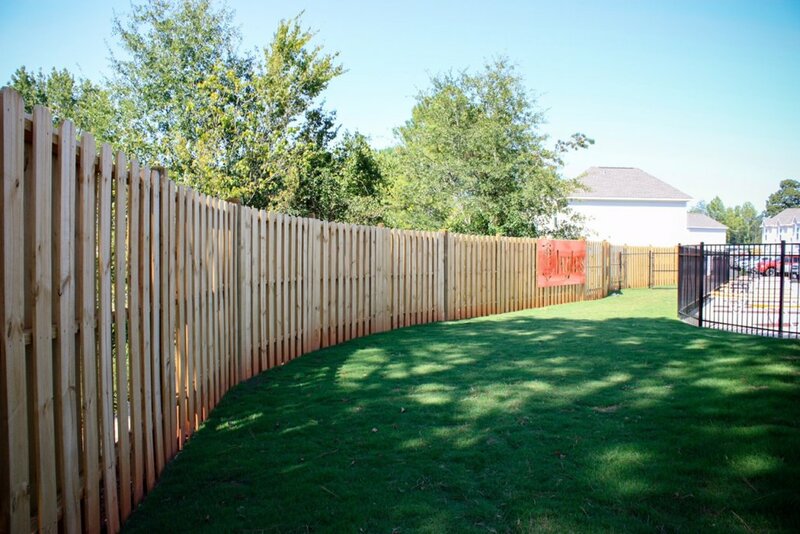 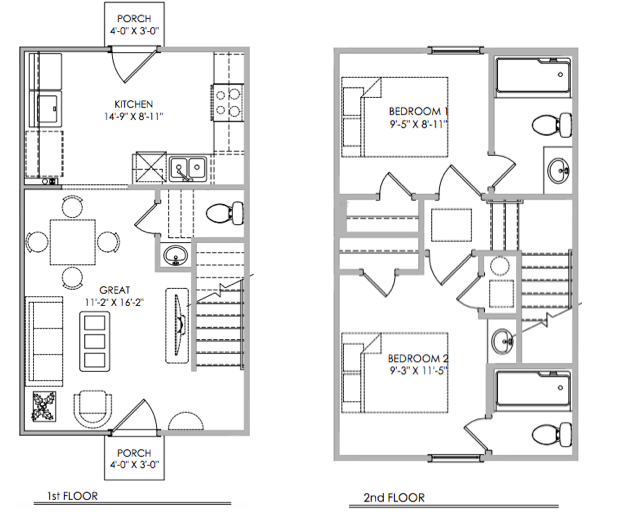 Cross Creek is a smaller, more intimate community, with outdoor living space and rates are set at $400 per bed. 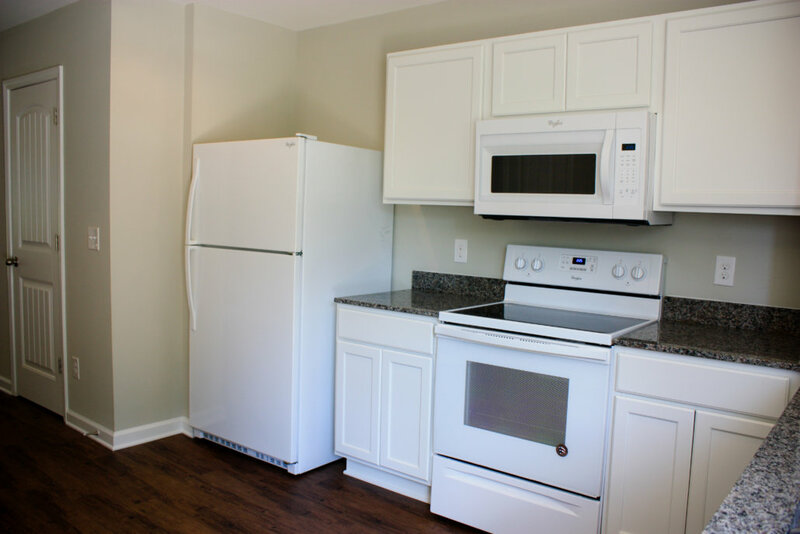 Calhoun Place is a favorite amongst Clemson students, offering spacious four bedroom, four bath apartments close to campus at $400 per bed. 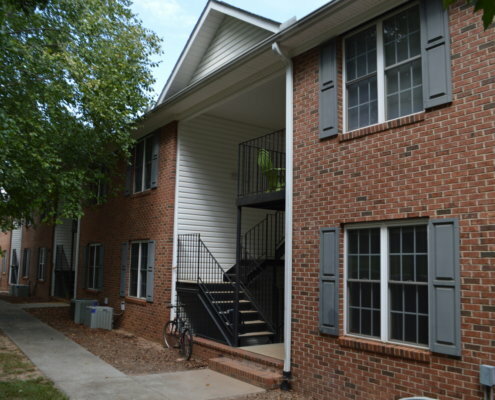 Together, they form University Cottages, Clemson’s premier student living community. 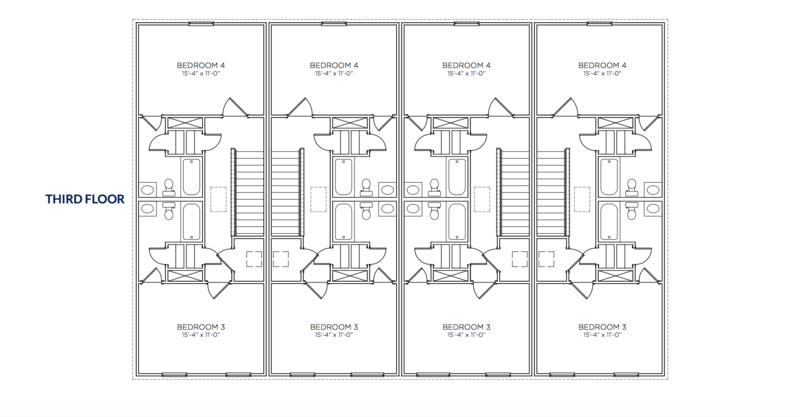 Cottage, townhouse or apartment? 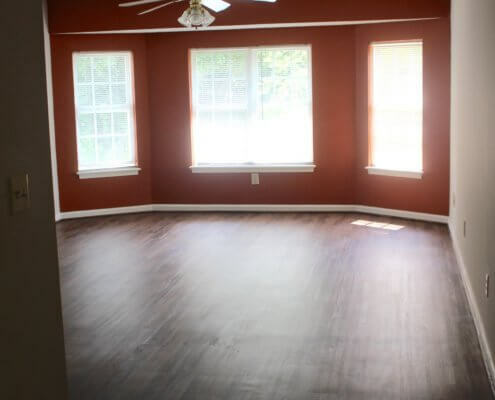 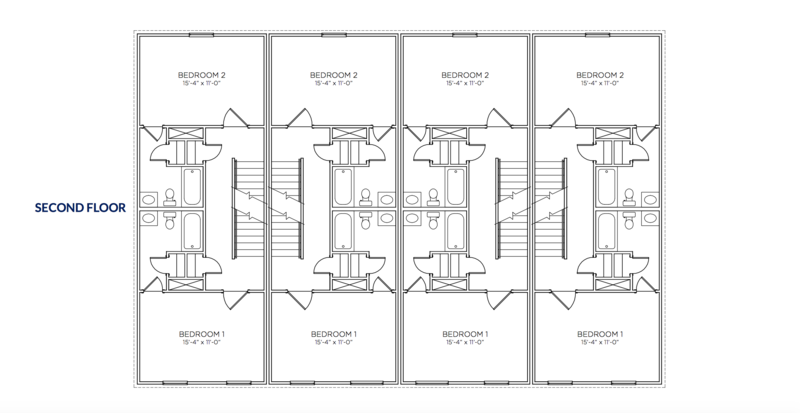 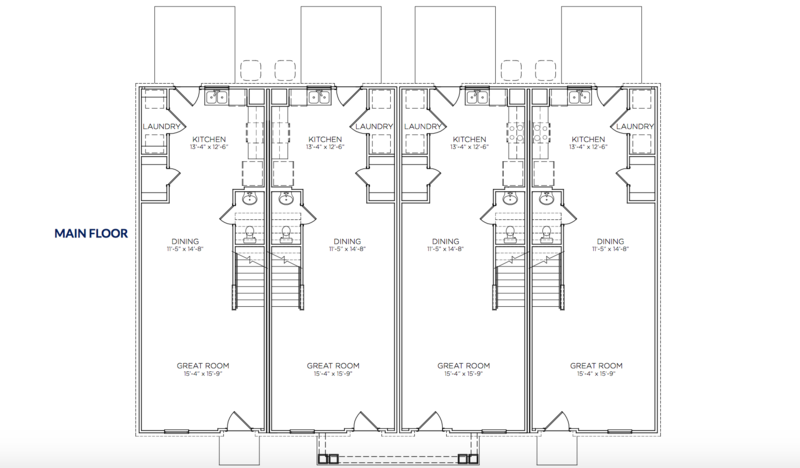 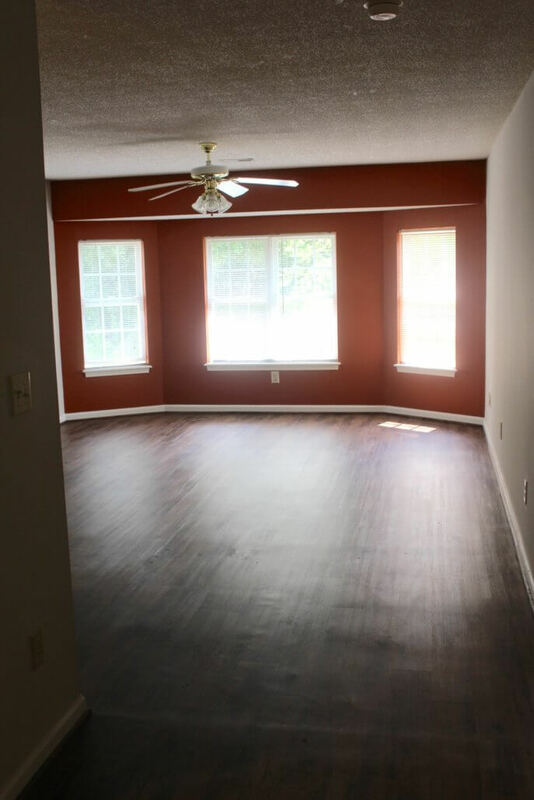 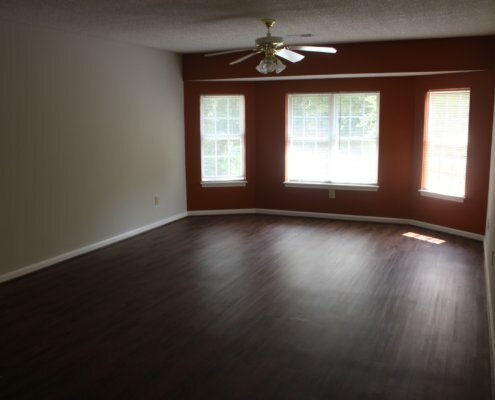 Two bedroom or four bedroom? 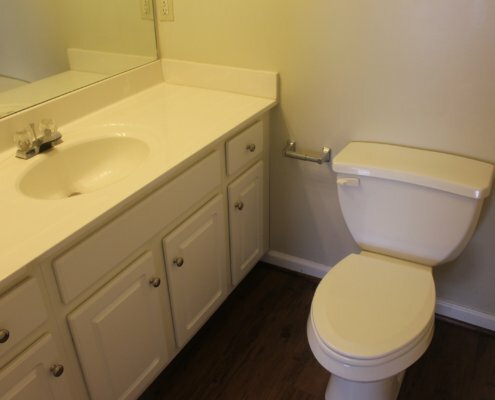 UC has an option to fit your needs! 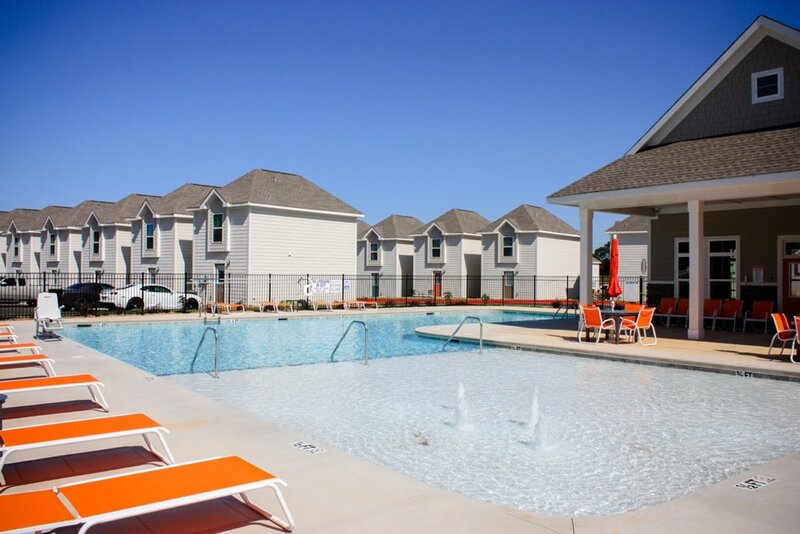 Ingles Crossing offers all University Cottages’ residents access to a luxury pool with tanning deck and fountains. 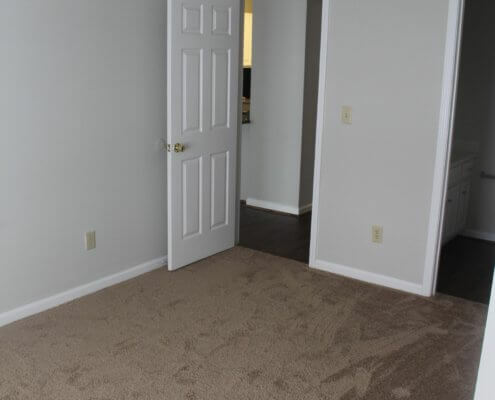 Both Ingles Crossing and Cross Creek have a designated pet area. 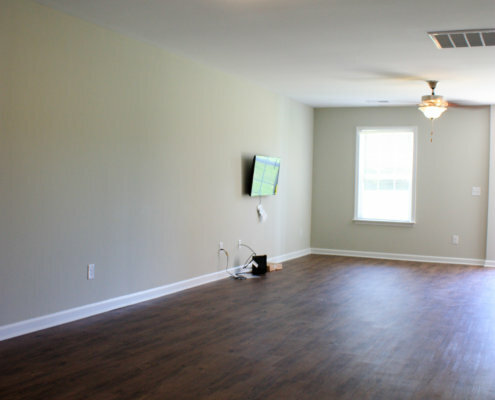 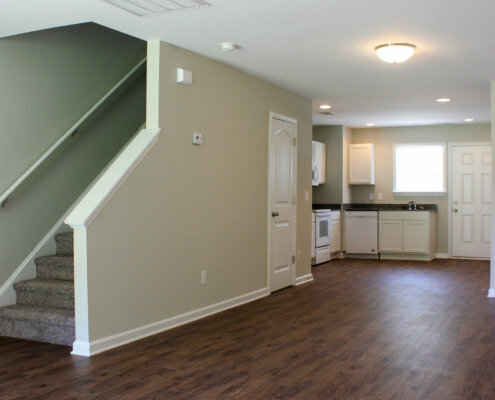 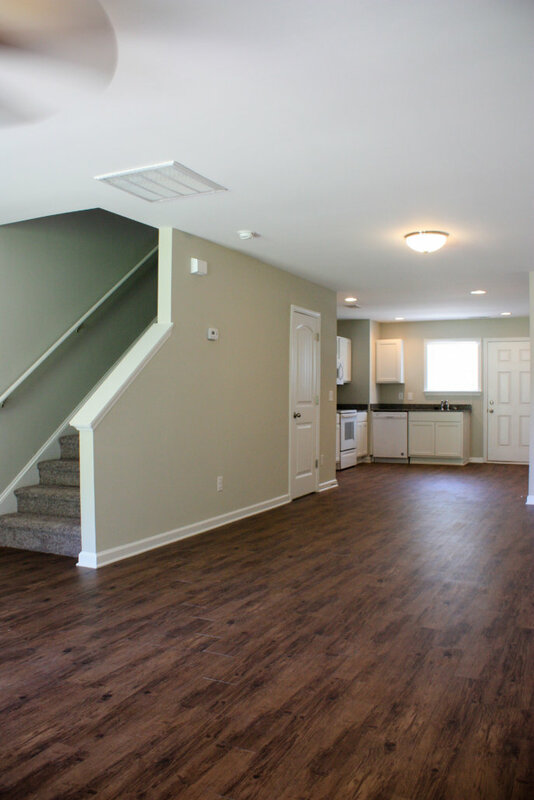 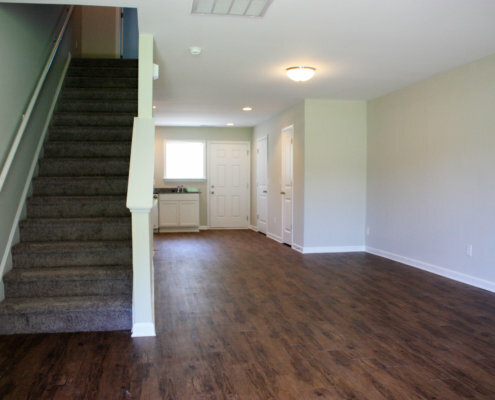 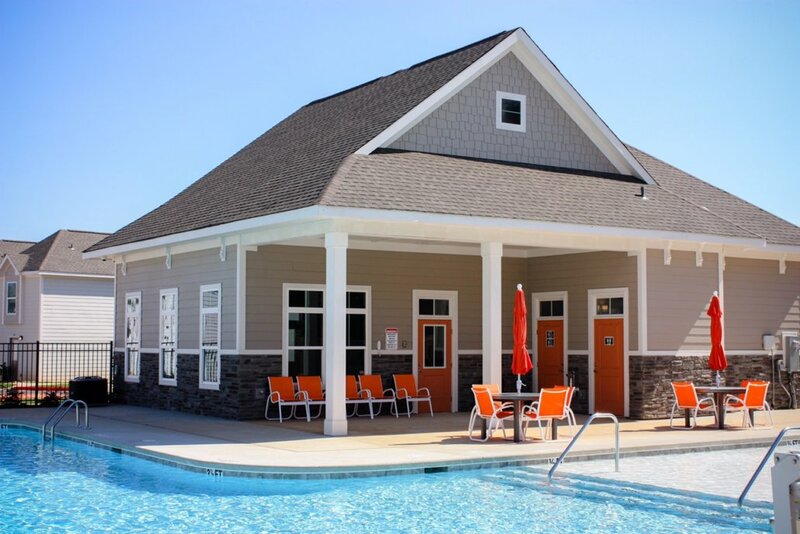 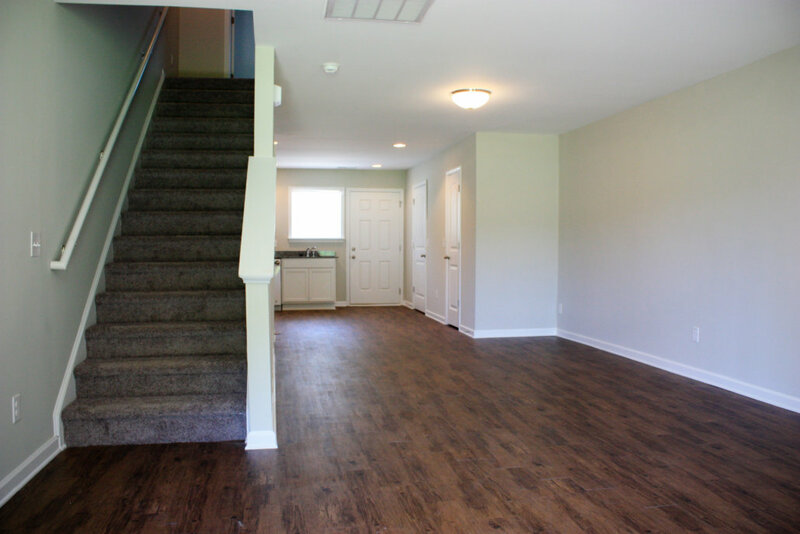 The clubhouse at Ingles Crossing is the perfect place for all University Cottages’ residents to congregate. 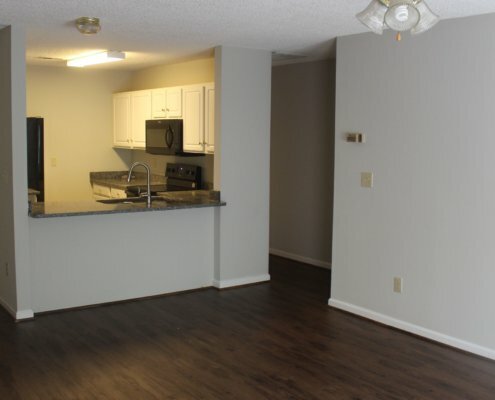 Calhoun Place is on College Ave and less than a mile from campus. 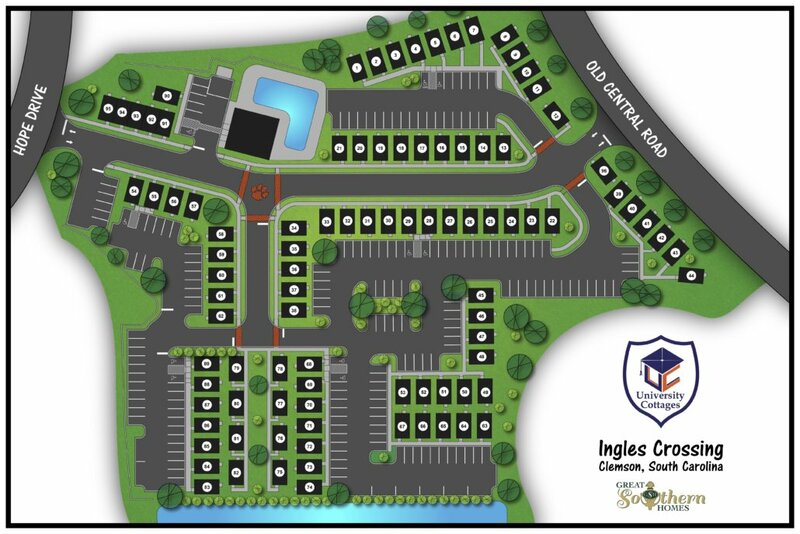 Ingles Crossing and Cross Creek are on HWY 93 and only 2.5 miles away. 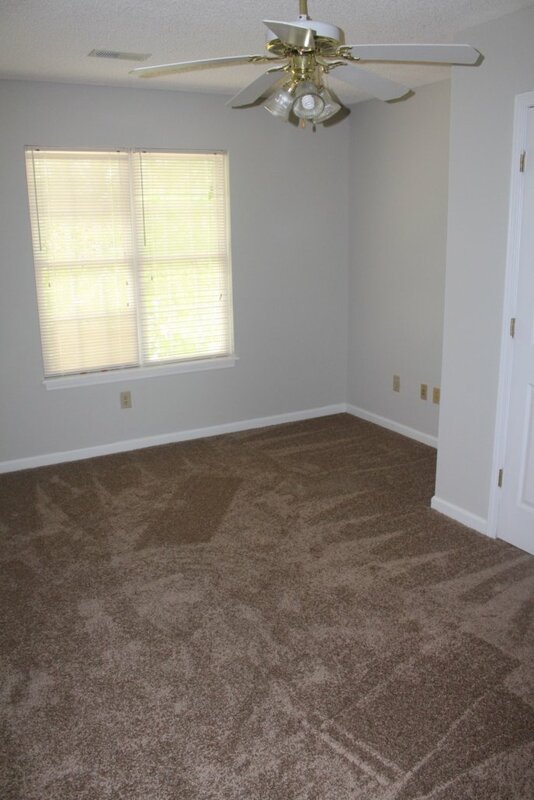 All are on the CAT Bus route. 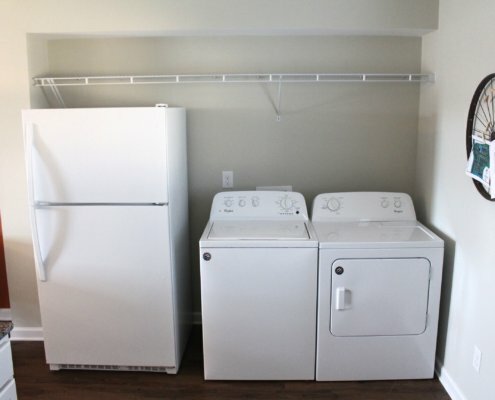 A washer and dryer is in every unit. 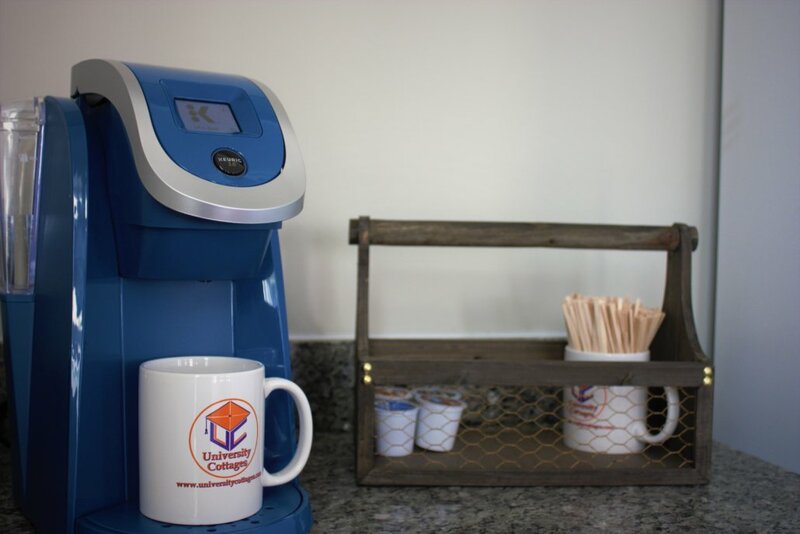 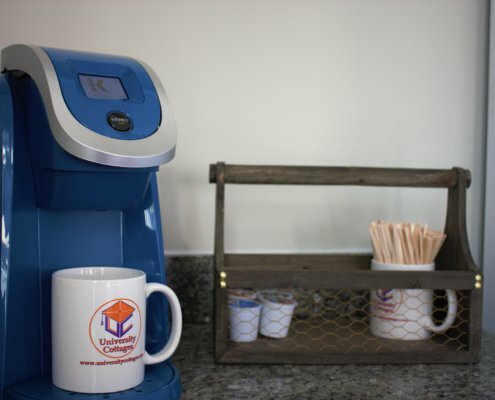 The clubhouse provides a Keurig 2.0 and is fully stocked with all of your favorite K-cups! 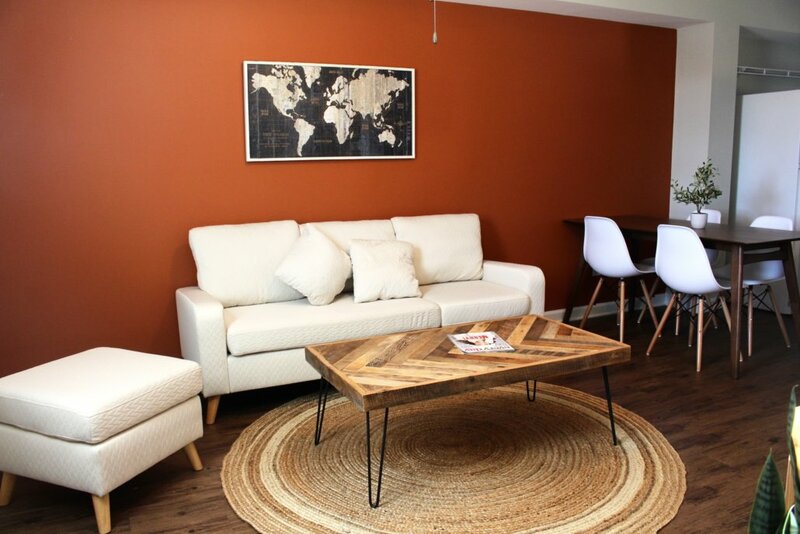 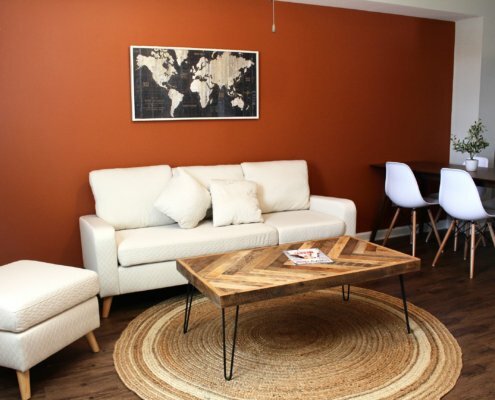 The fully furnished clubhouse offers the perfect space for group study sessions or just a place to come and relax with lounge style seating. 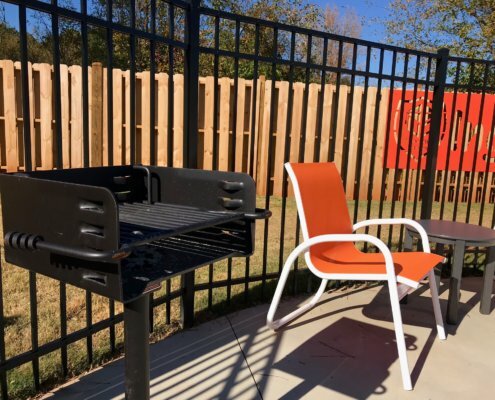 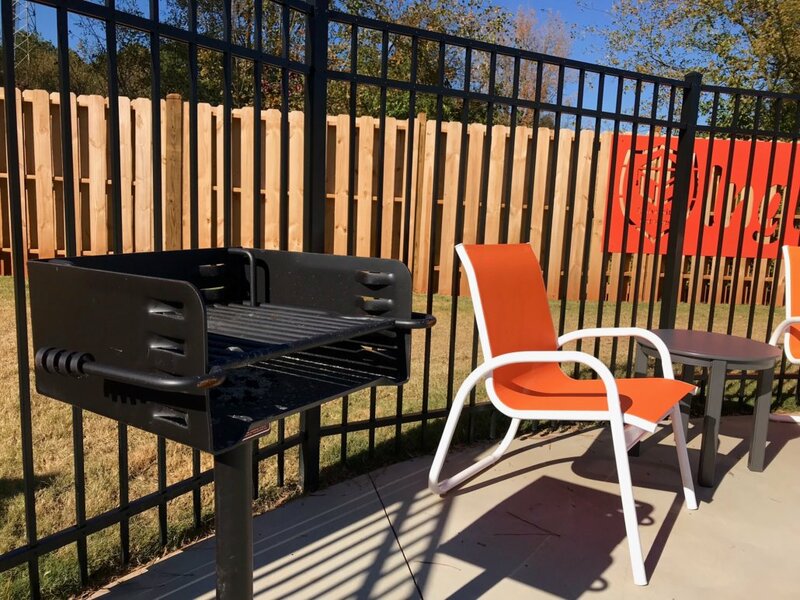 Outdoor grilling area perfect for a game day cook out! 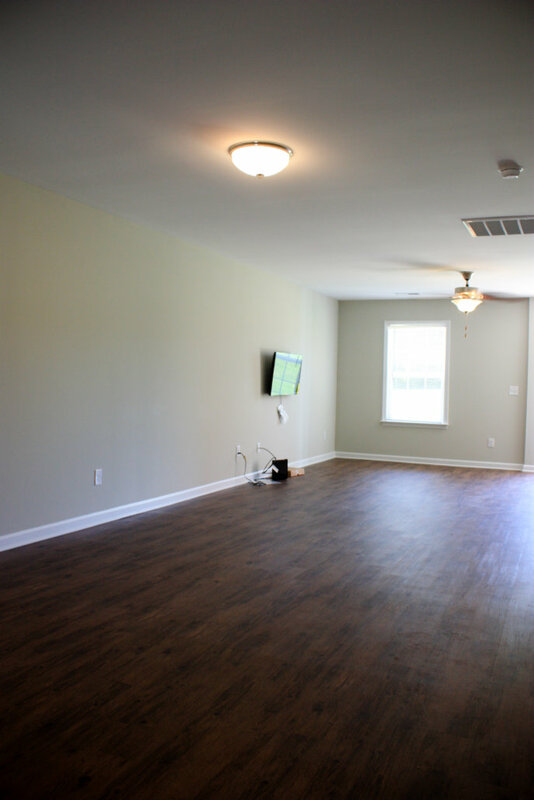 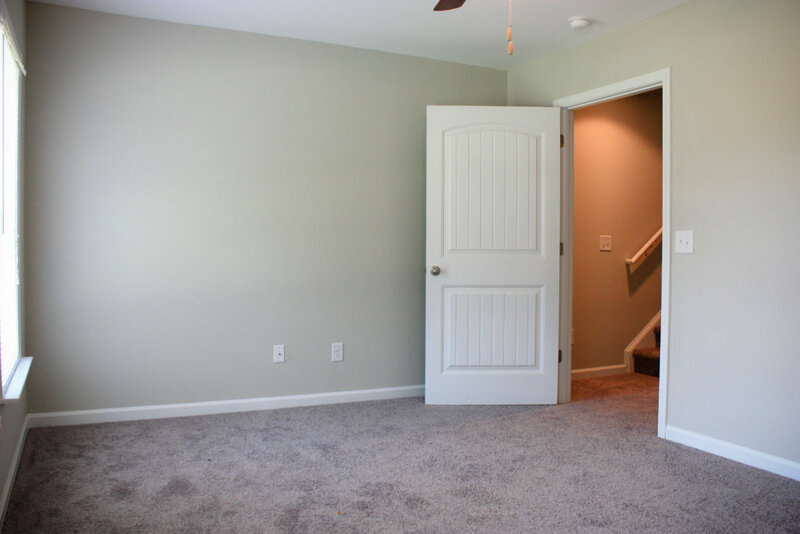 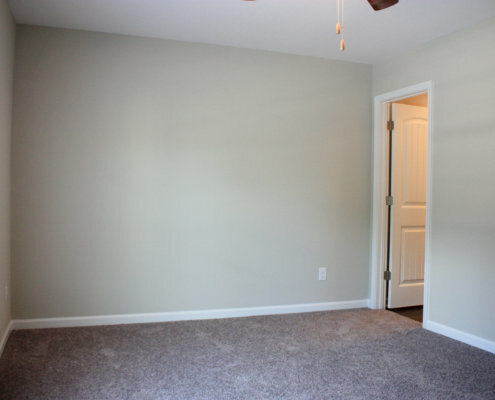 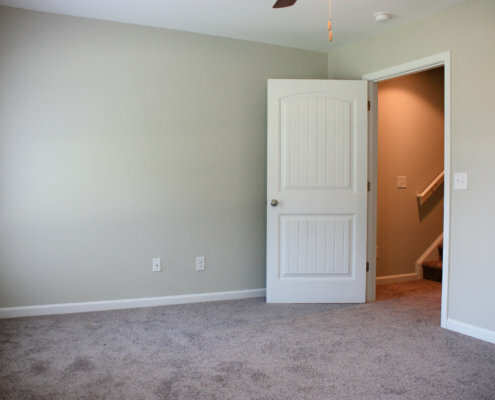 The University Cottages at Ingles Crossing are perfectly designed for two with a comfortable duet layout. 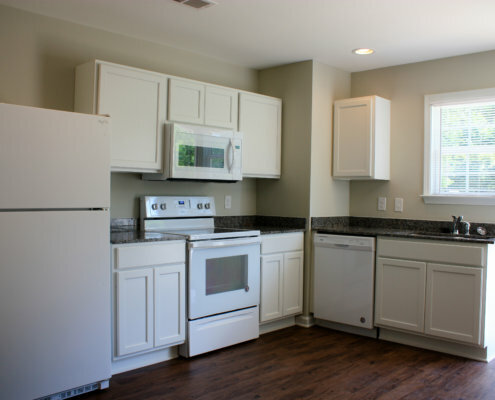 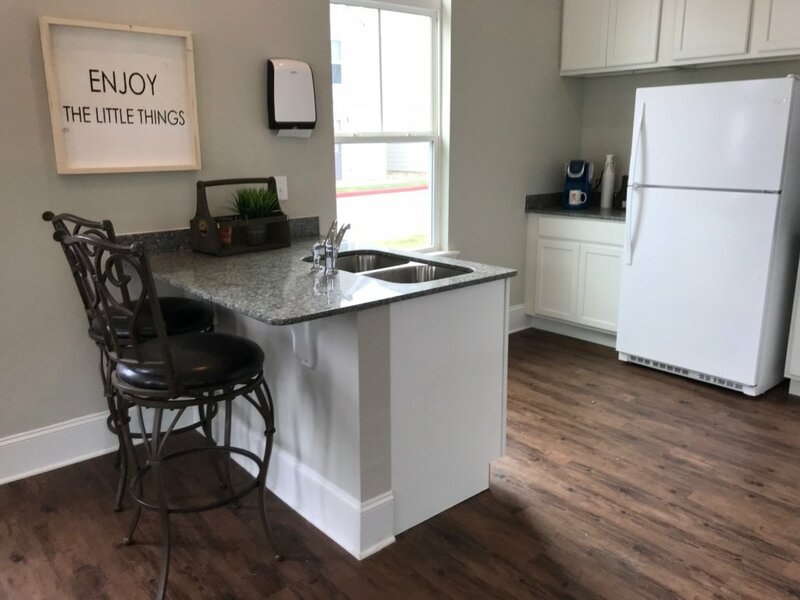 Each individual cottage asserts sleek white appliances and cabinetry, granite countertops, and luxury vinyl tile throughout. 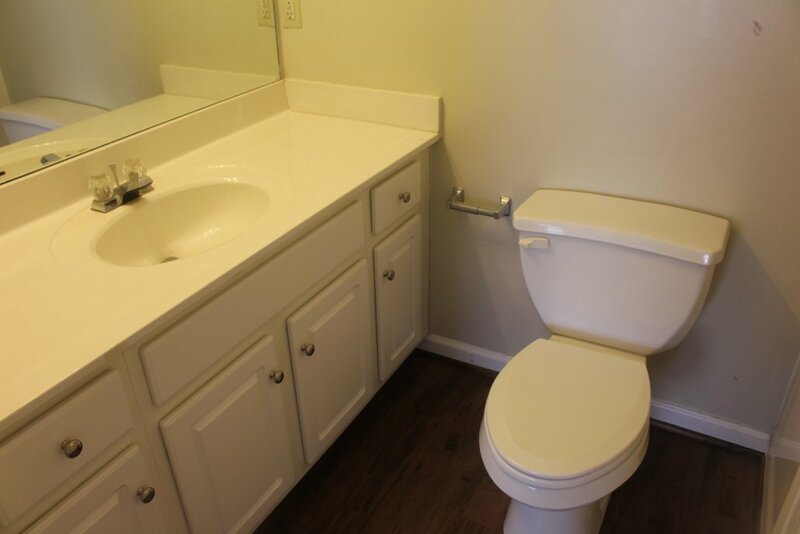 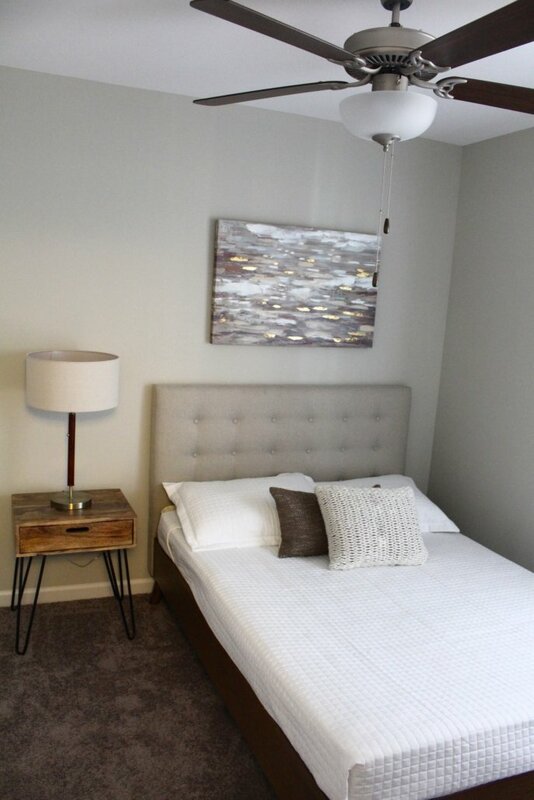 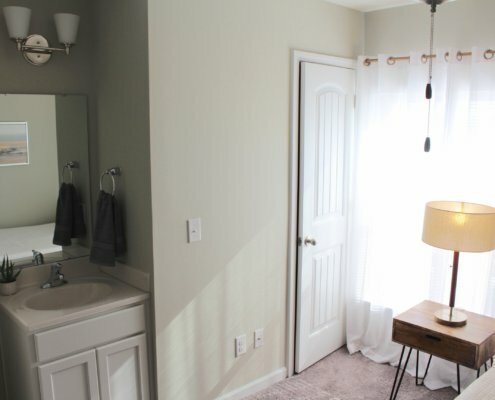 Each quaint bedroom is complete with its own private bathroom and an additional half bath is situated right off the living room; perfect for guests. 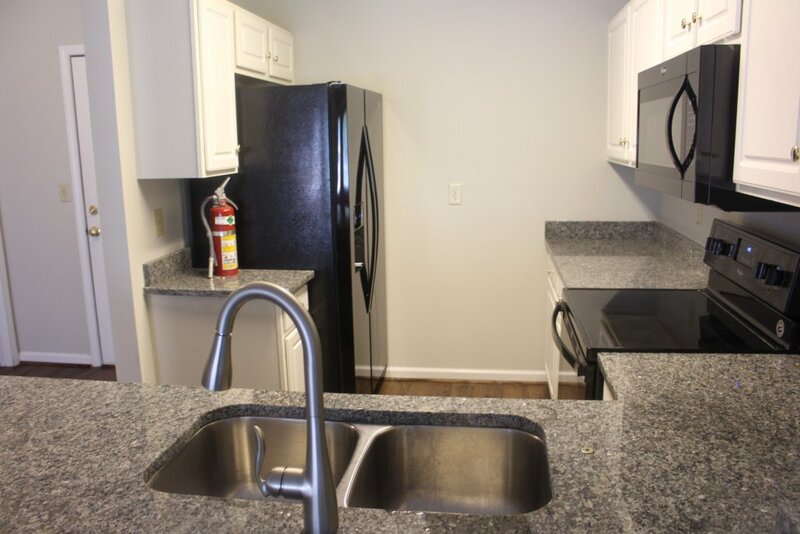 Wi-Fi and a washer and dryer are included in every unit. 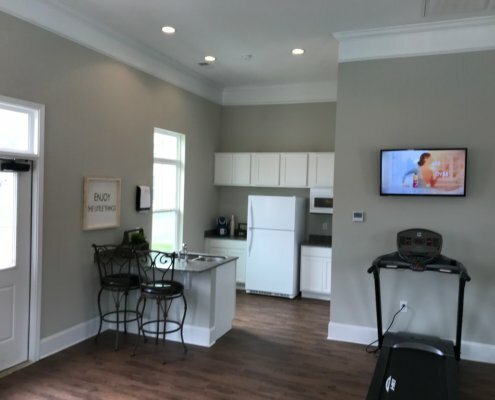 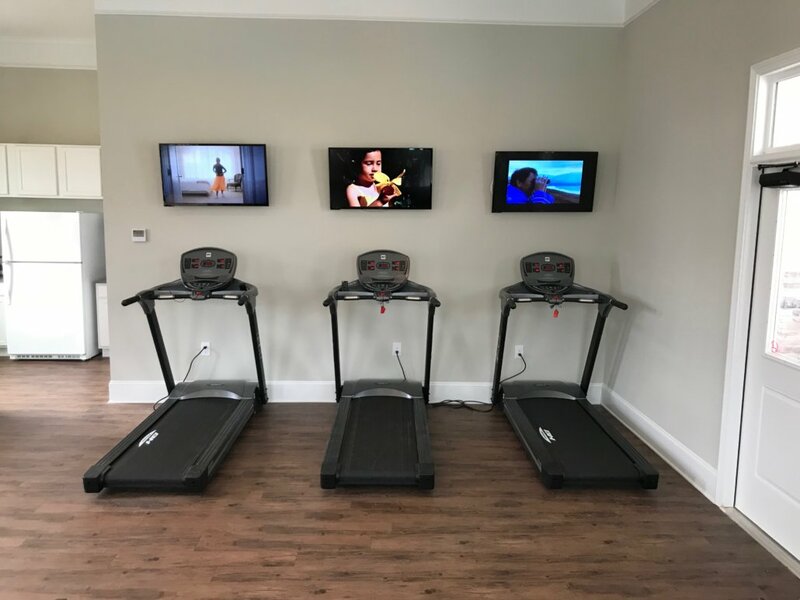 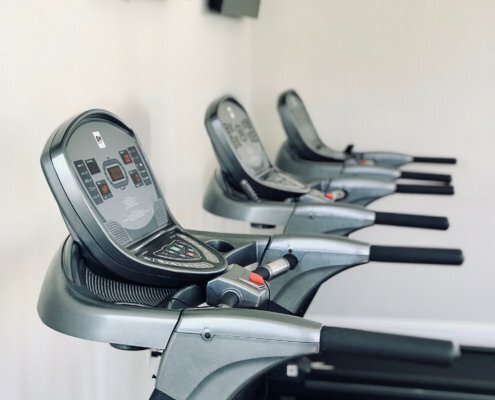 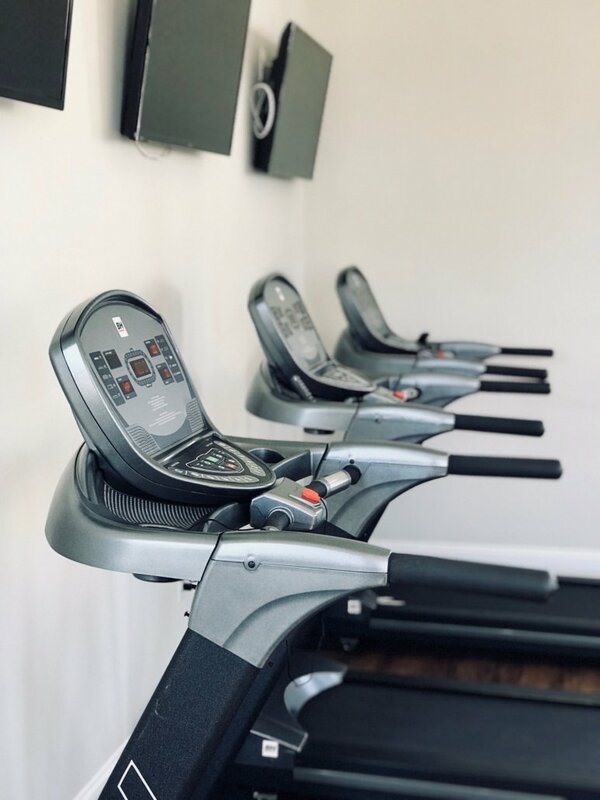 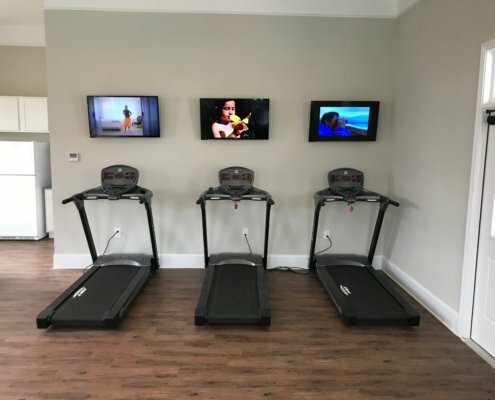 The community offers a multitude of topnotch amenities for residents and their furry friends including a dog park, grilling areas, and communal clubhouse that contains both a fitness and gathering area and coffee bar. 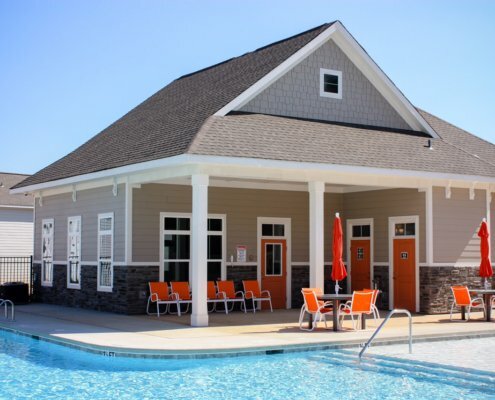 The resort style pool is handicap accessible, and complete with fountains and a sizable tanning deck. 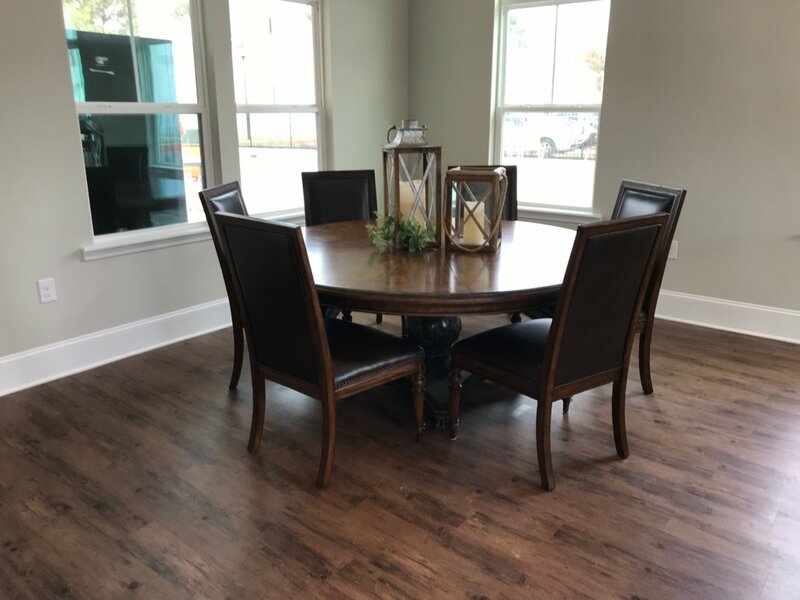 Ingles Crossing is perfectly located on highway 93, just 2.5 miles from Clemson University with convenient access to shopping, dining and a CATBUS stop. 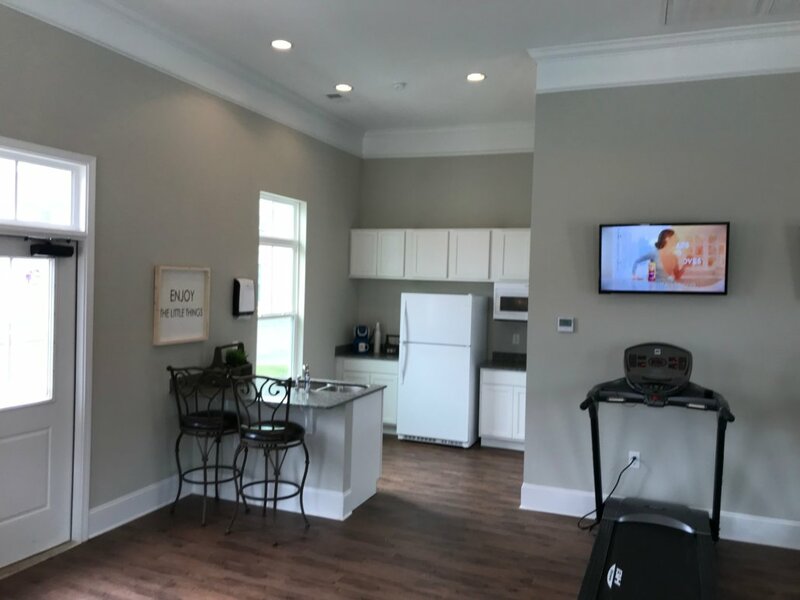 The University Cottages at Ingles Crossing offer residents an opportunity to cultivate an interactive lifestyle in a cohesive community! 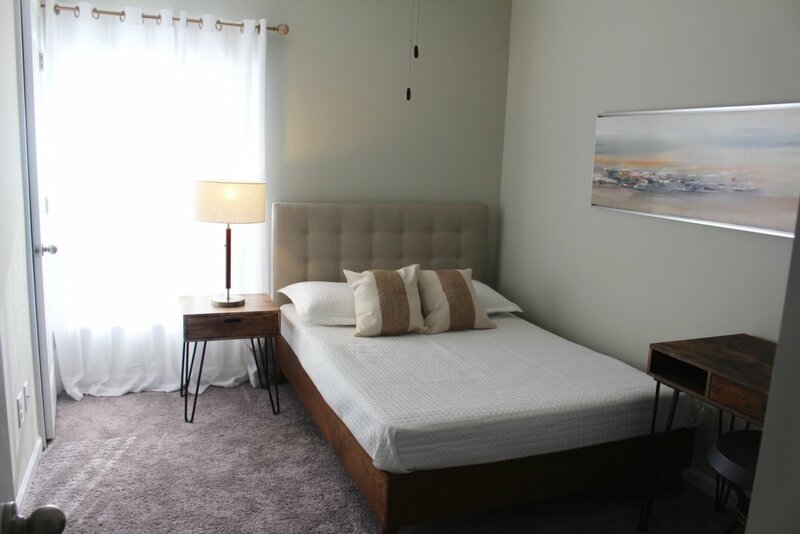 For A Limited Time Only $495 Per Bed! The University Cottages at Cross Creek offer residents a more quaint community with almost three times the space, while still having access to all the amenities at Ingles Crossing. 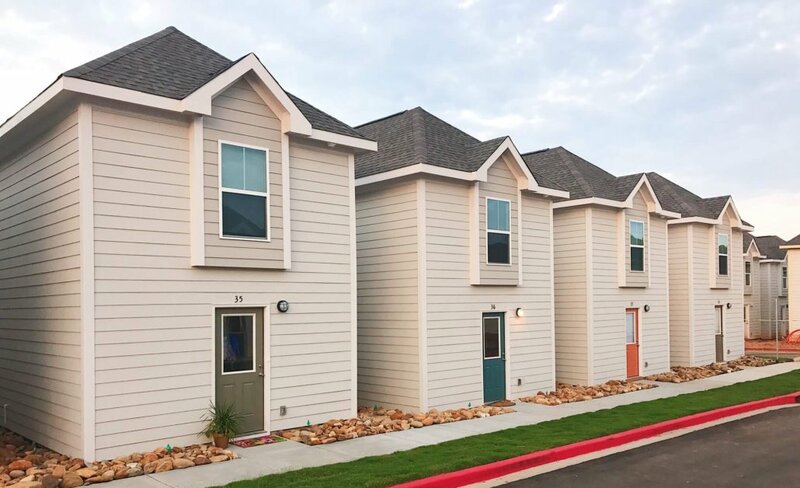 These 4 bedroom /4.5 bathroom townhomes are the largest of the University Cottages cluster offering over 2,000 square feet of living space. 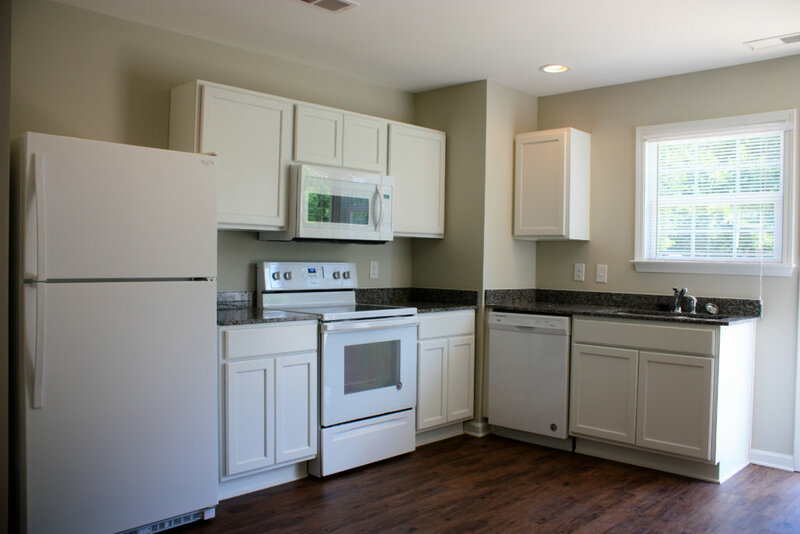 Each kitchen boasts white appliances and cabinetry, granite countertops and luxury vinyl flooring throughout the common areas. 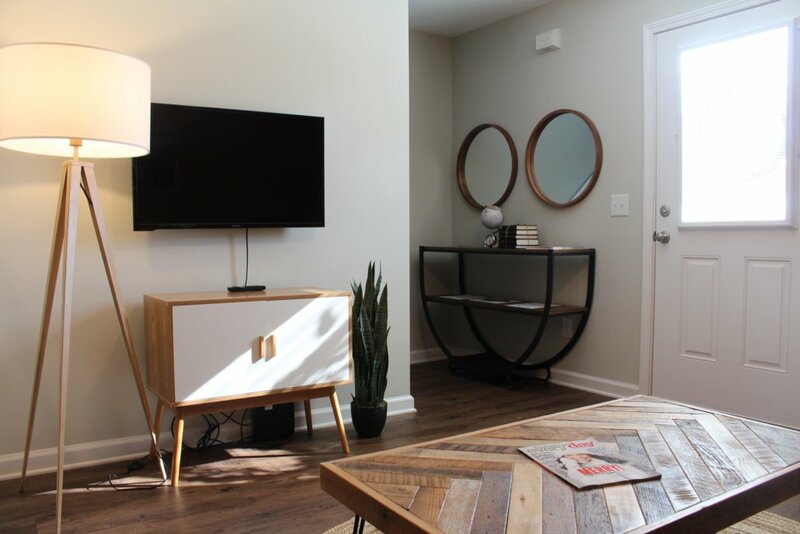 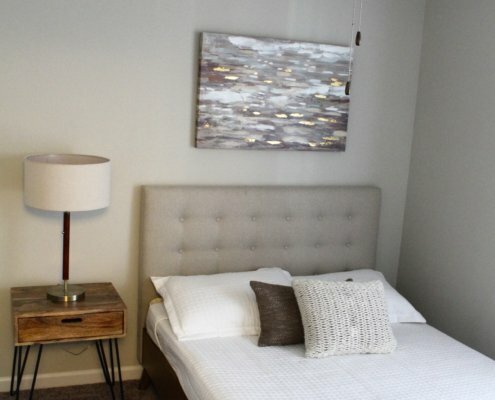 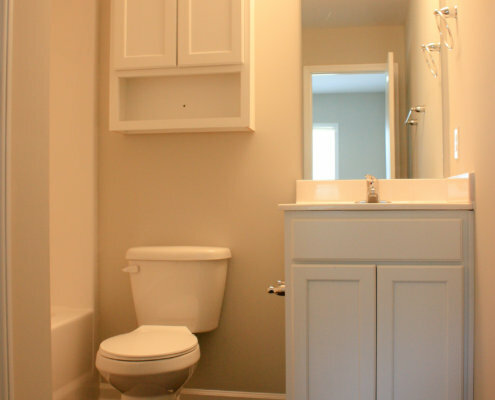 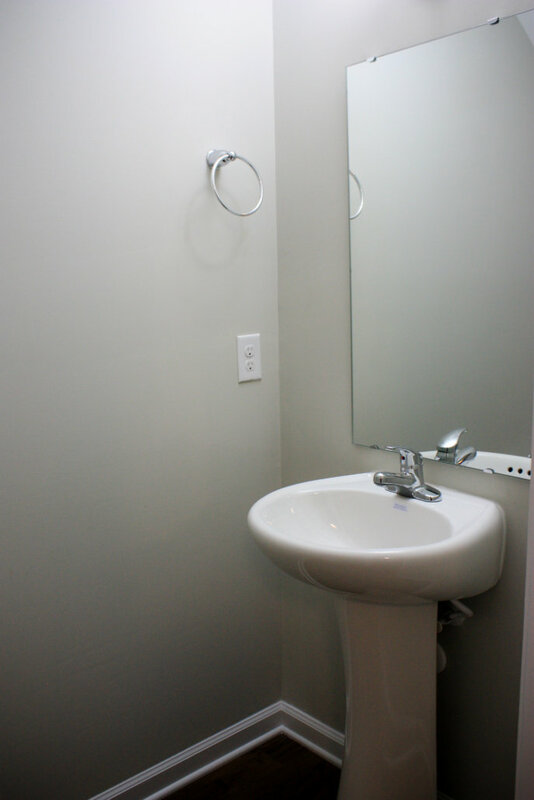 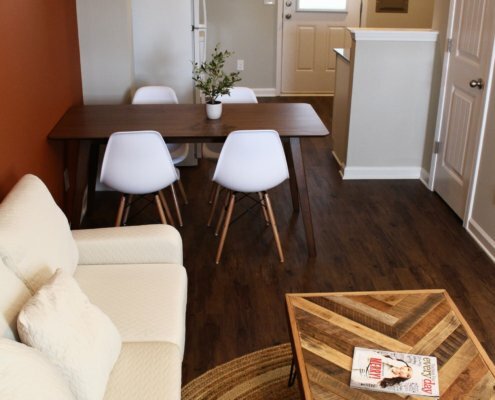 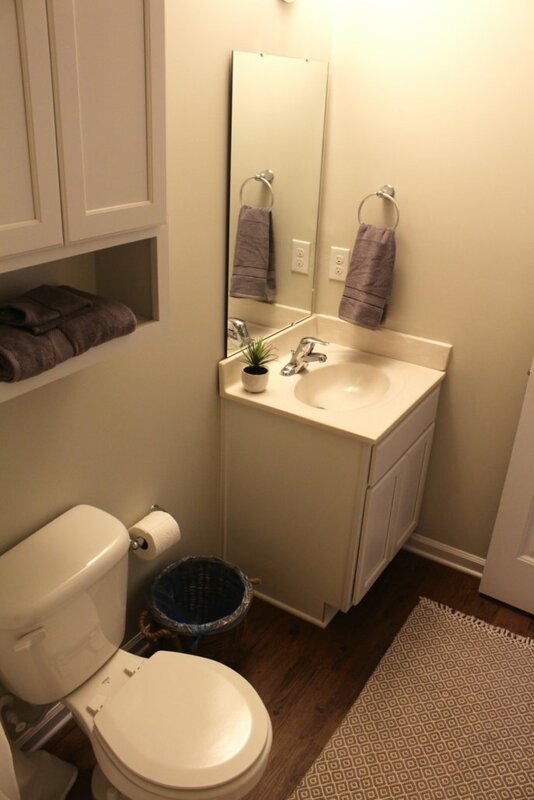 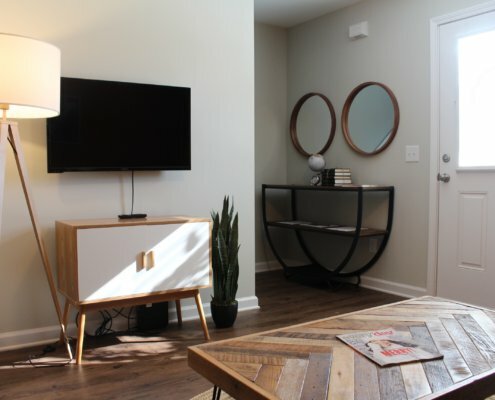 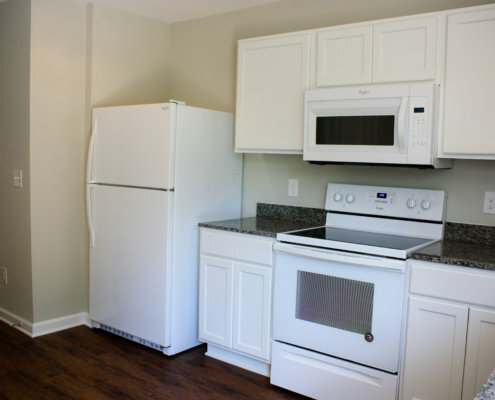 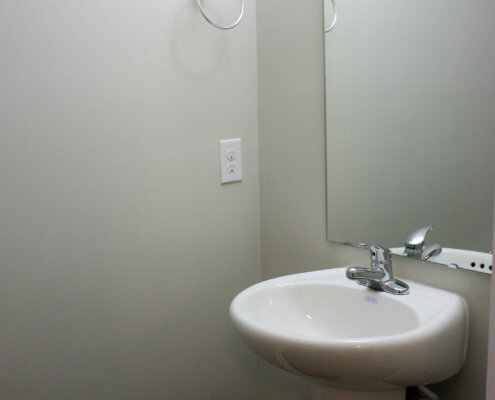 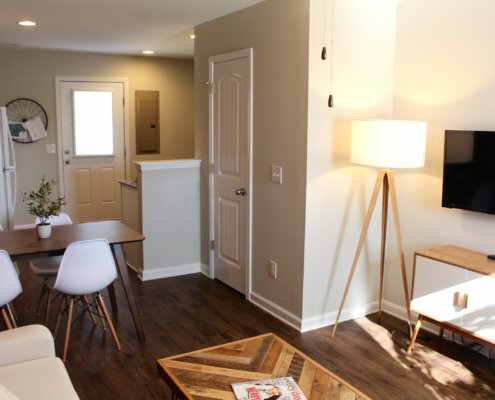 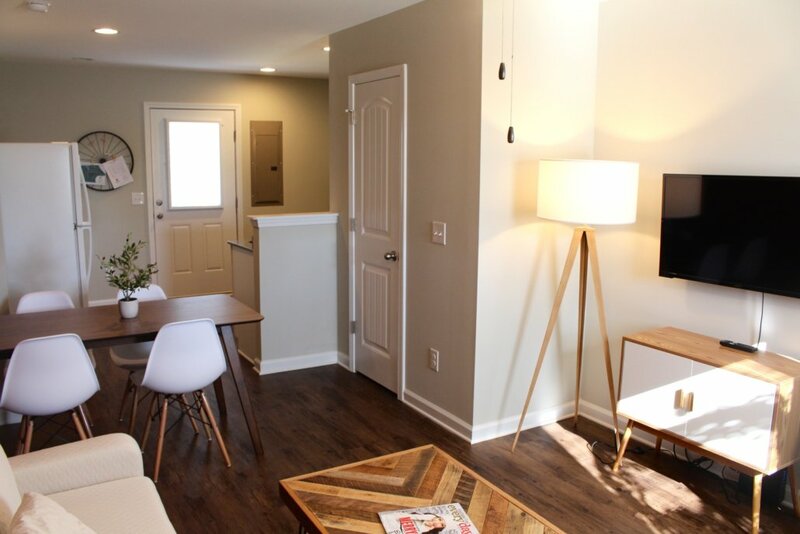 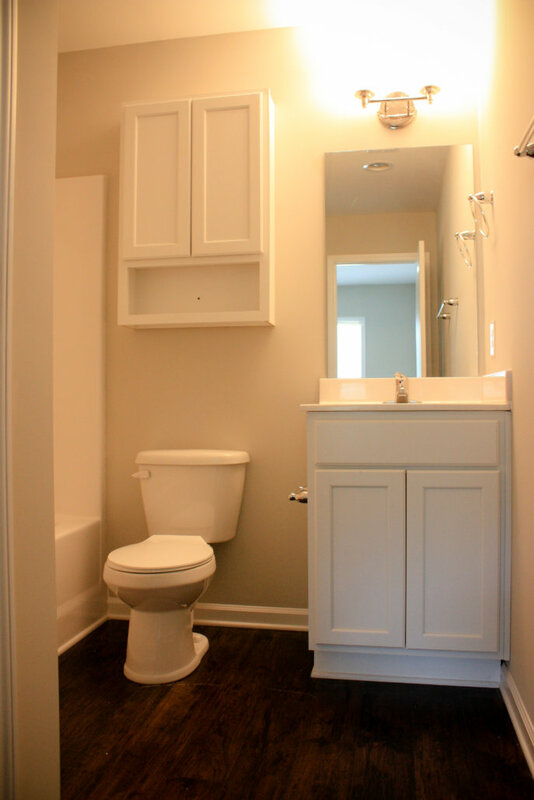 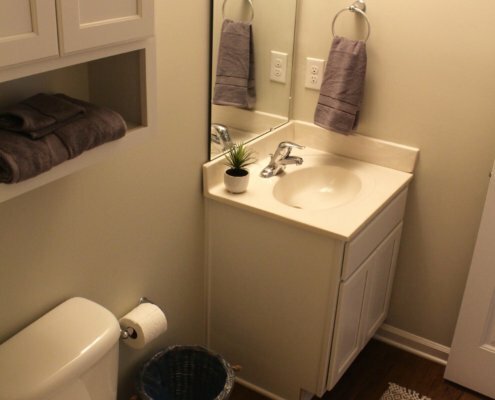 Each townhome is complete with a washer and dryer, a mounted 42” flat screen and Wi-Fi included. 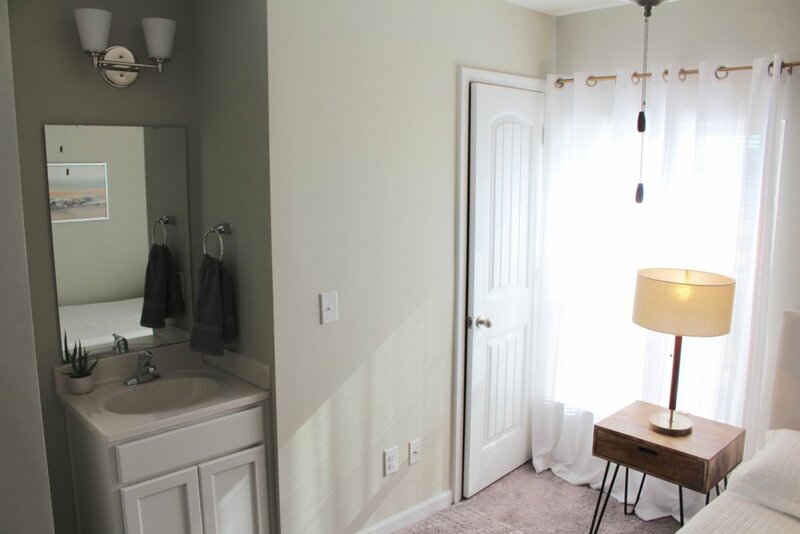 This charming community offers plenty of green space for pets and ample parking just steps away from your front door. 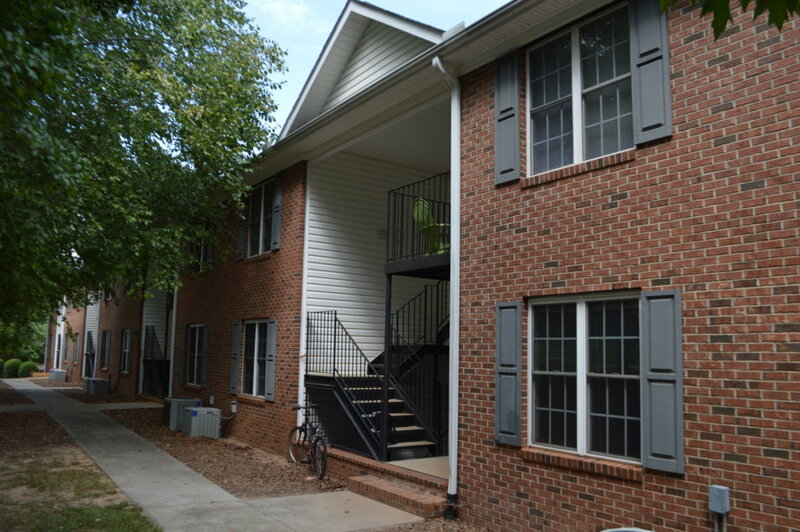 These beautiful brick townhomes are available for $400 per bed for a limited time only! 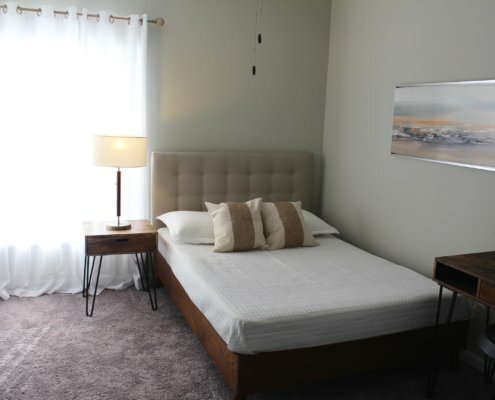 For A Limited Time Only $400 Per Bed! 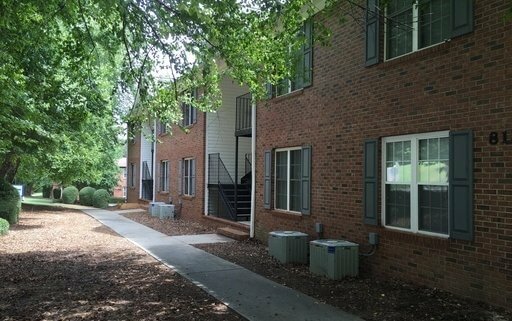 University Cottages at Calhoun Place are highly prized for their prime location on College Avenue. 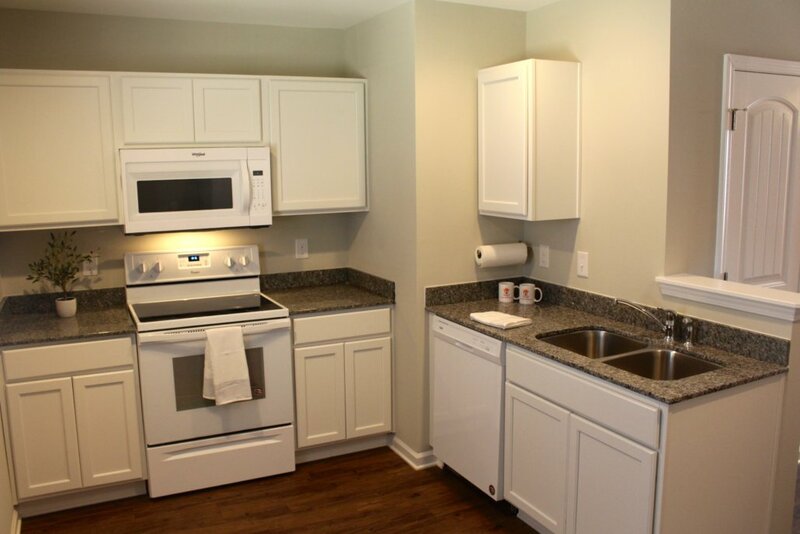 Located within walking distance of downtown, Calhoun Place is close to shopping, dining, and campus. 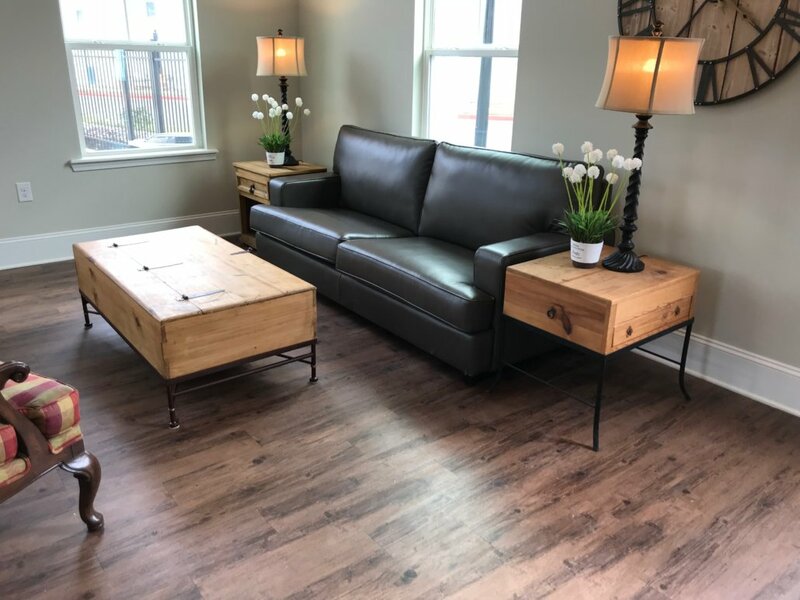 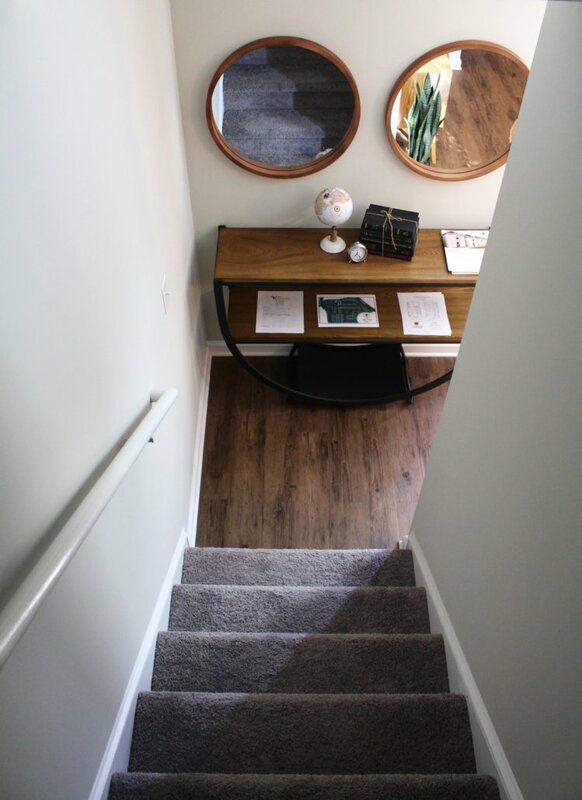 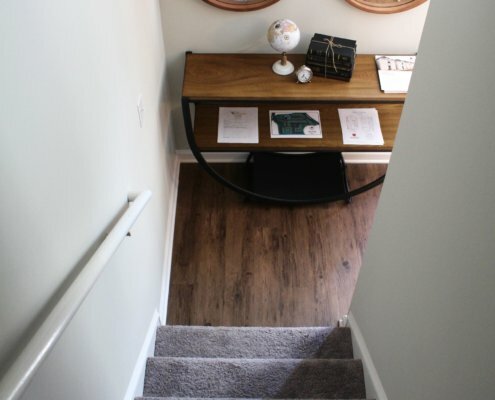 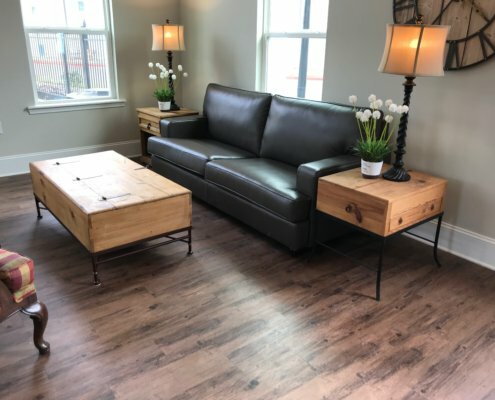 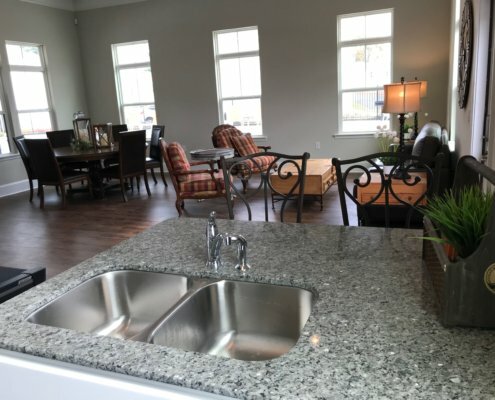 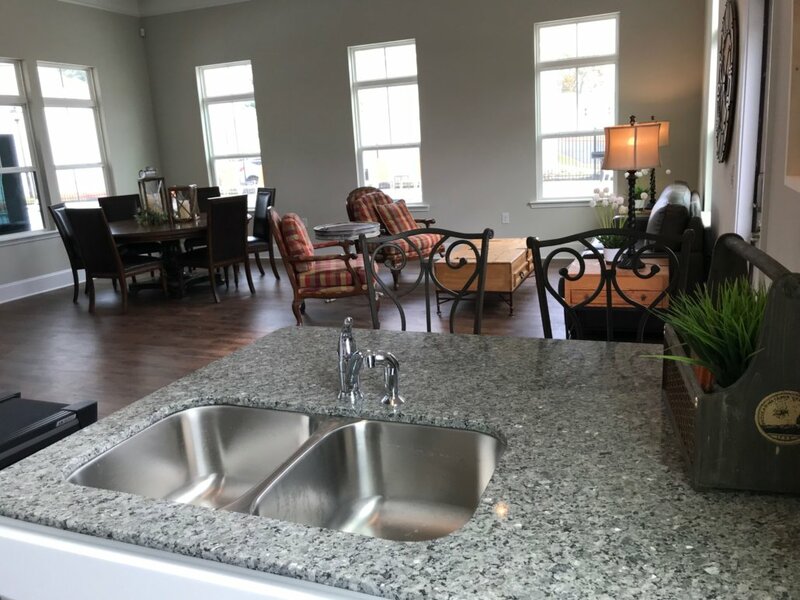 These spacious apartments offer four private bedrooms with en suite baths, a roomy kitchen overlooking the great room and a washer and dryer included in every unit. 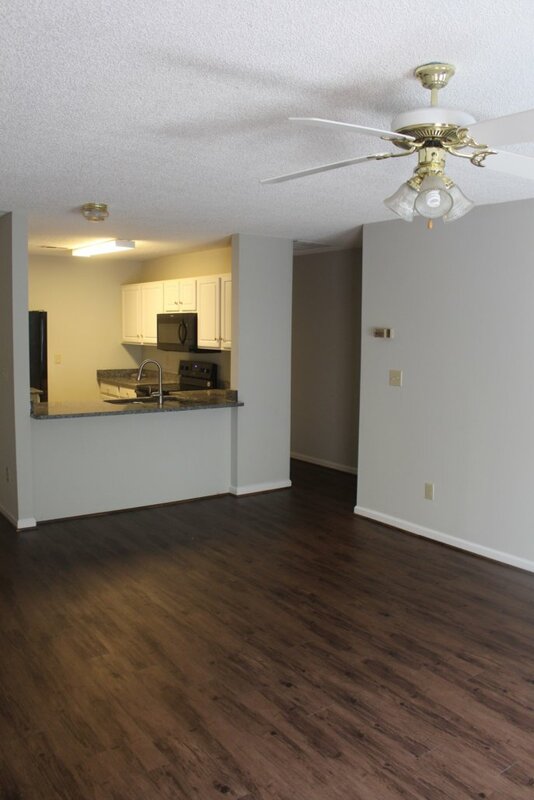 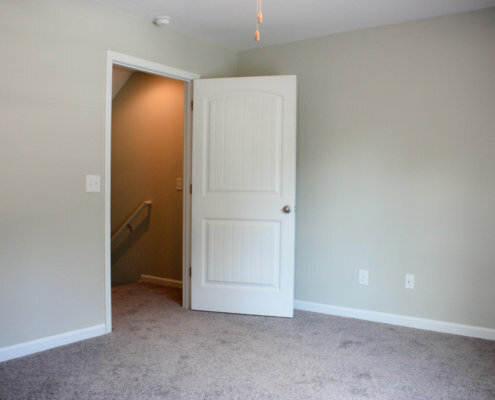 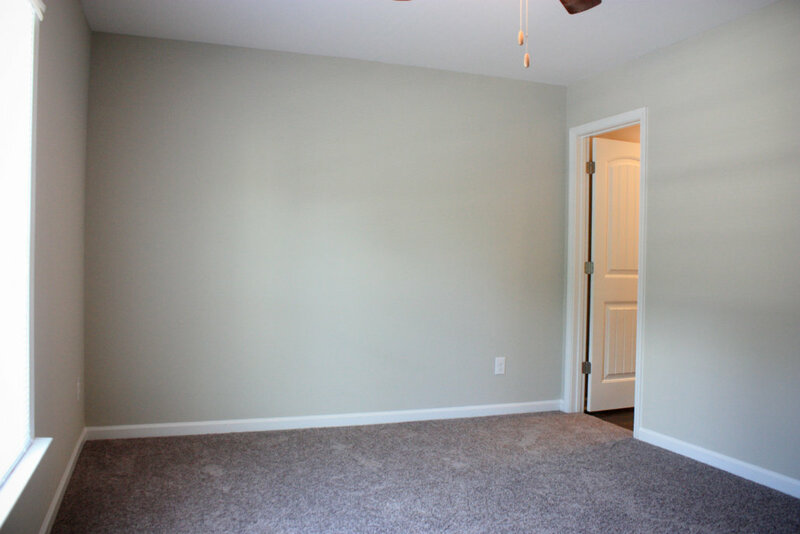 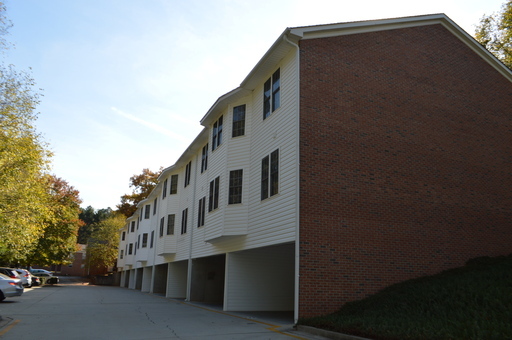 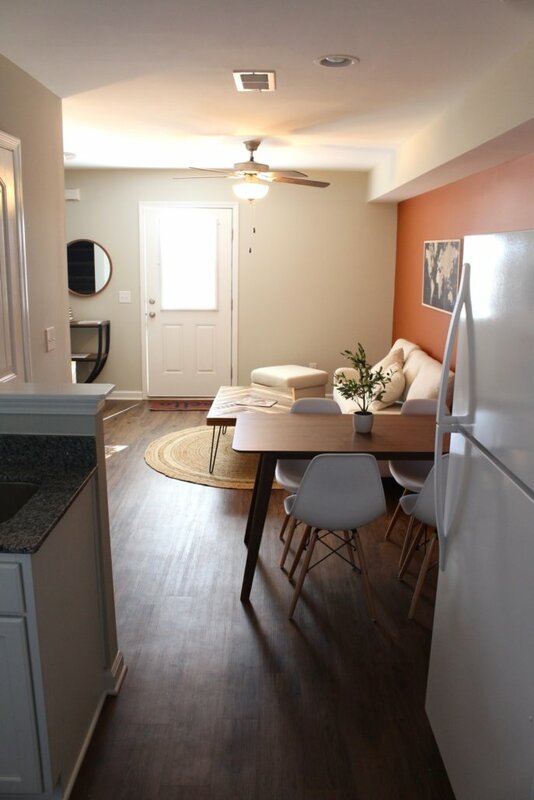 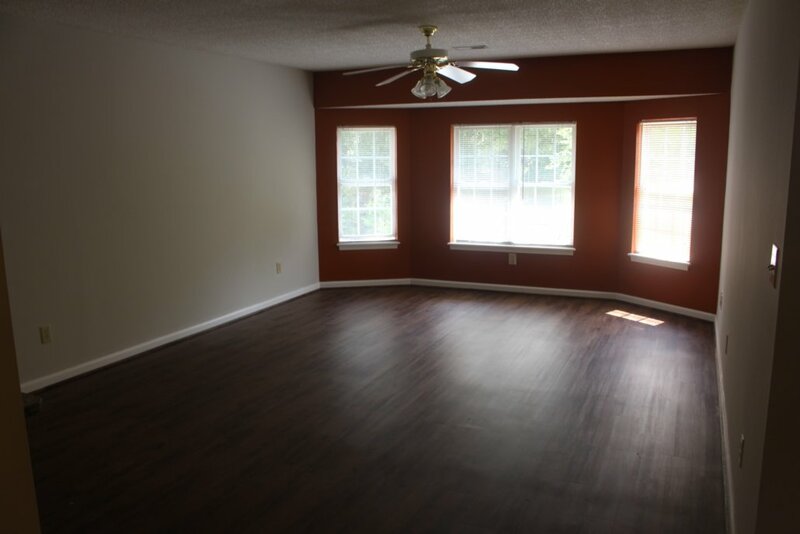 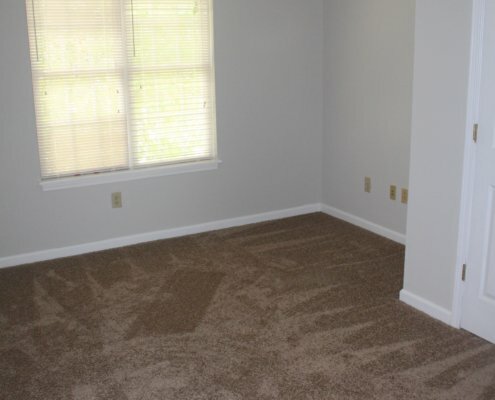 The apartments provide additional exterior storage, a garage area and plenty of parking. 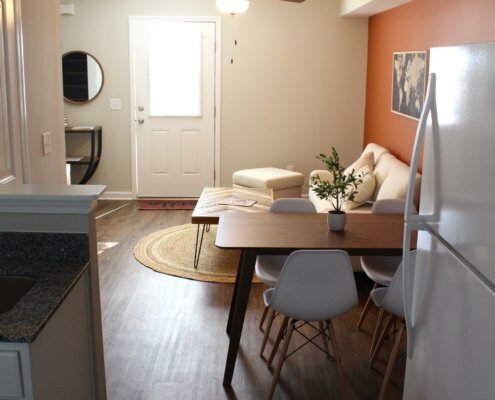 Calhoun Place is located across the street from from a CATbus stop and offered for $400 per bed for a limited time only! 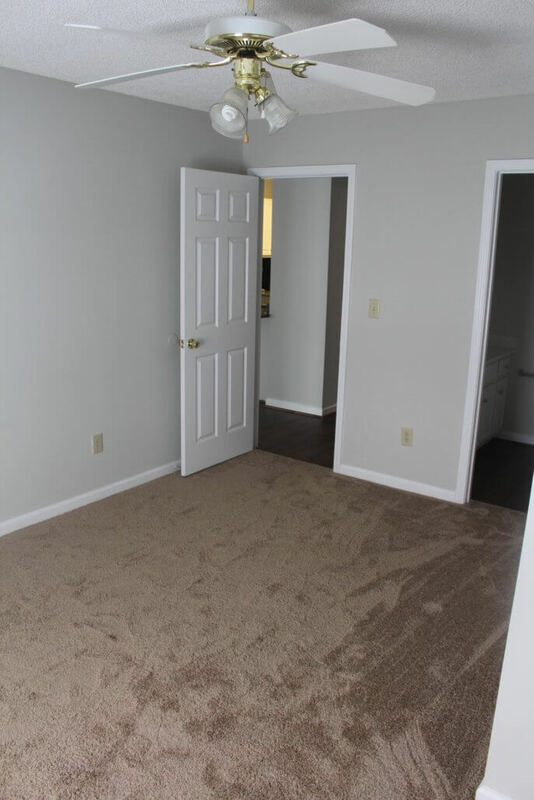 For the 2017-2018 rates, a $95 utility allowance is included in the per bedroom rate of $545 at Ingles Crossing. 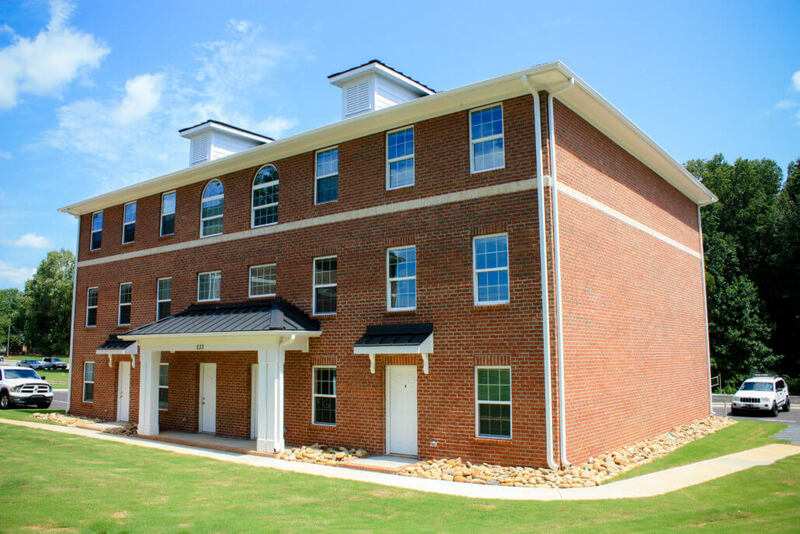 University Cottages at Cross Creek offer a $65 utility allowance included in the per bedroom rate of $415. 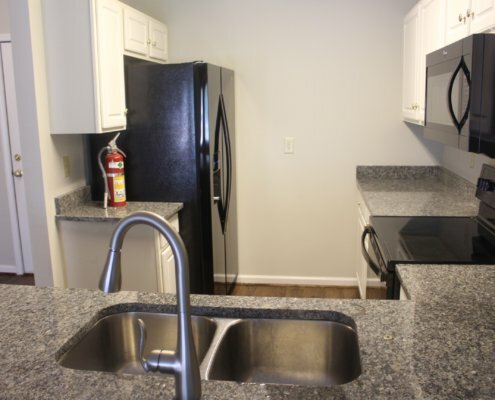 There are no utilities included at Calhoun Place. 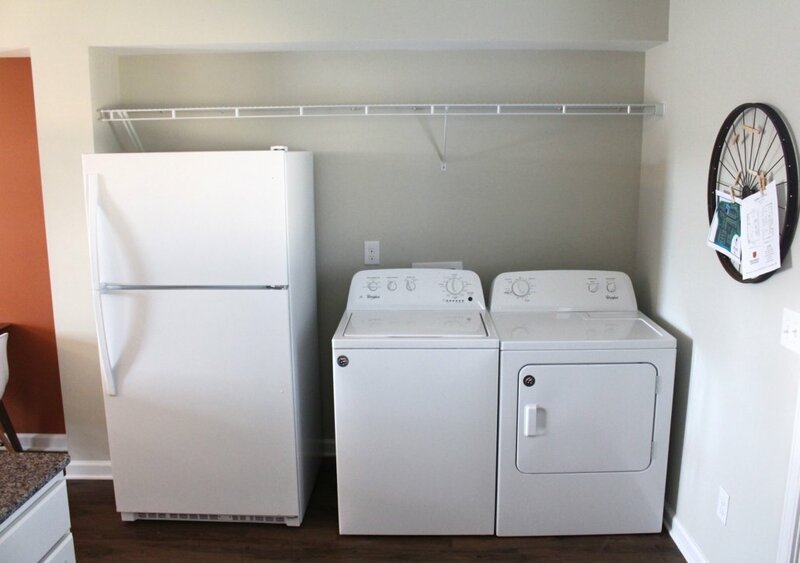 Washer and Dryer is included in every unit at University Cottages. 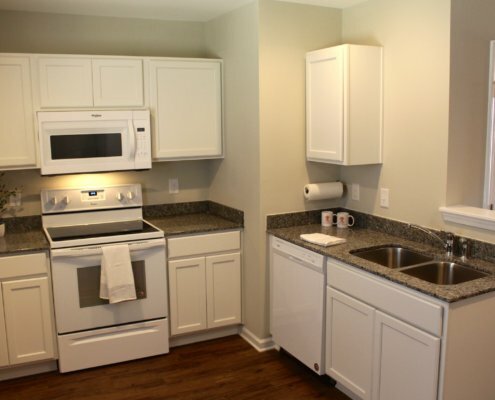 All University Cottages communities offer ample and convenient parking. 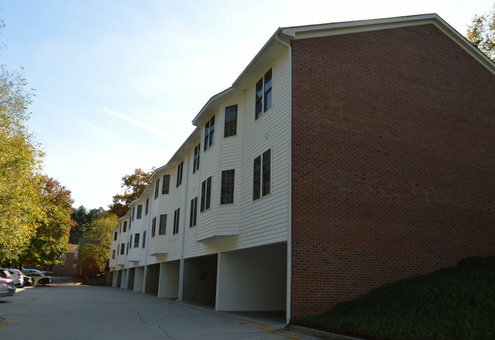 Calhoun Place is located on College Avenue less than a mile from campus. 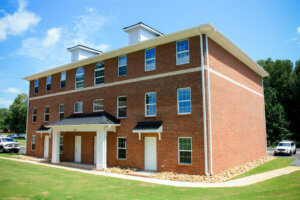 Ingles Crossing and Cross Creek are on HWY 93, only 2.5 miles from campus. 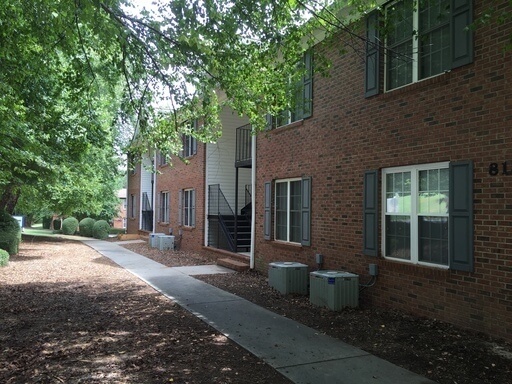 All communities are on the CAT Bus route or within walking distance to the bus stop. 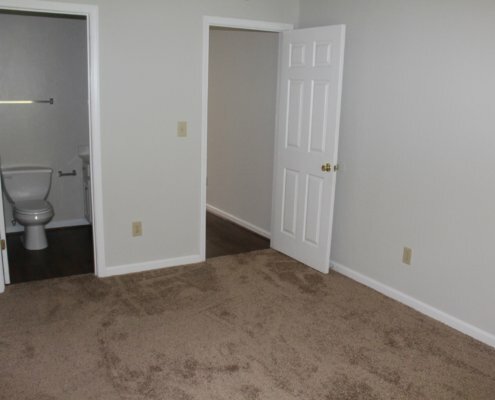 The one-time application fee is $60 for each tenant. 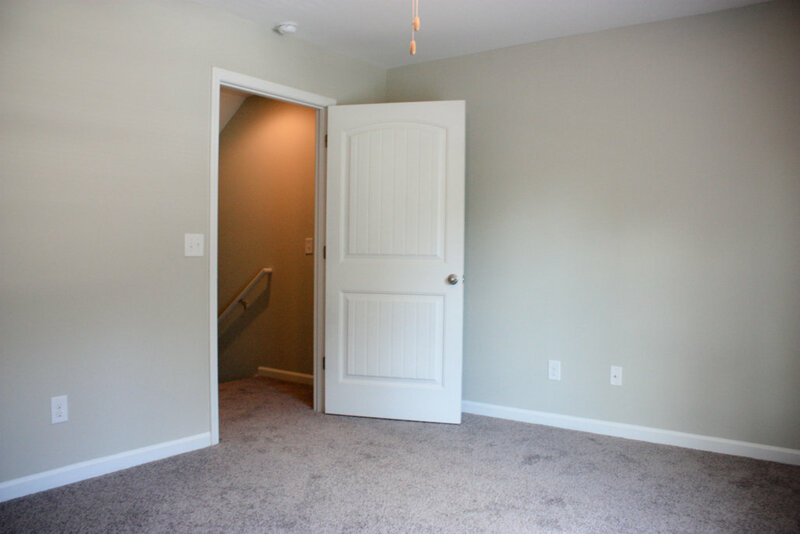 Guarantors required. 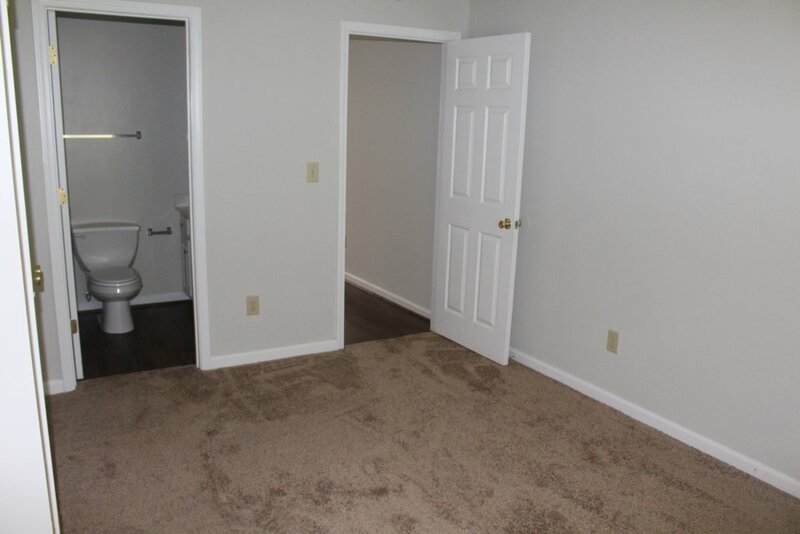 What are some other amenities offered?